Oh how I wish we were already on the West Coast! Claire Cowie’s work is intriguing and this exhibition is hanging in Seattle only for a few more days. The article goes into the importance of placement and hanging for the exhibition, something many gallerists overlook, but is often so important to the artist’s vision of how the work is to be viewed. A Colossal Place of Being: A Q&A with Claire Cowie. A Velázquez in the Cellar? OK, perhaps not exactly your grandmother’s attic, but it seems that a previously unattributed, damaged work stored at Yale University is thought by many experts to be a Velazquez. A Velázquez in the Cellar?. 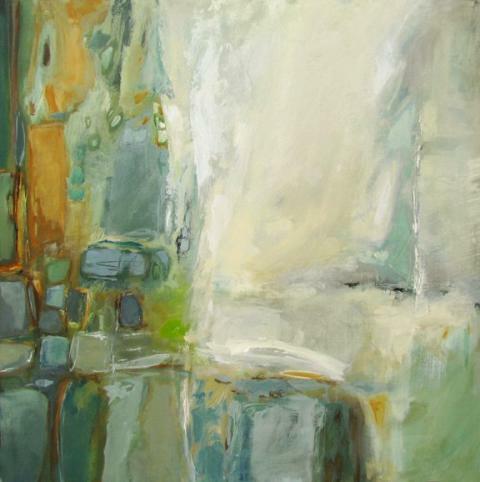 WINTER TRANSITIONS; SPRING STORMS is R. Roberts Gallery’s celebration of the transition from the grey, dreary days of winter into the fresh bloom of spring. 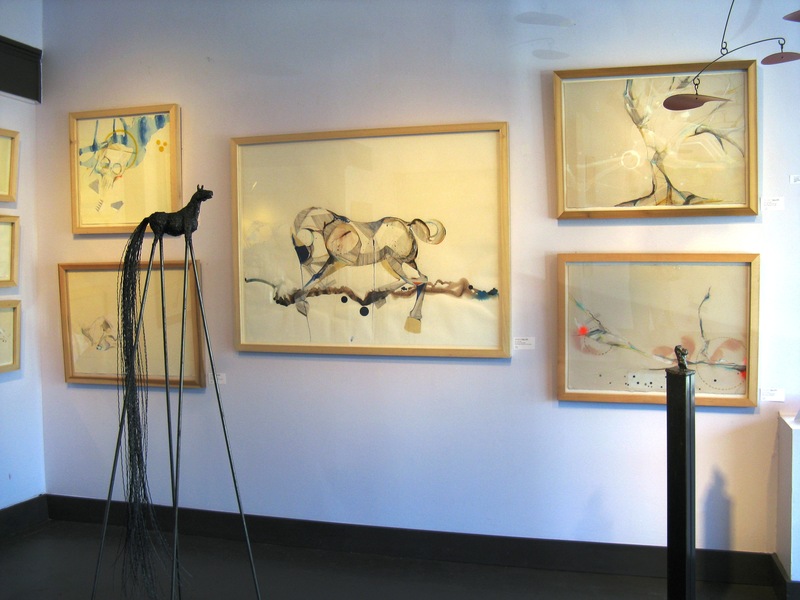 The show features the work of three very different artists, mixed media artist Madeline Peck-Wagner, sculptor James Oleson and encaustic painter Kathleen Wobie. As you enter the gallery, you may almost miss James Oleson’s tiny bust sculpture. This diminutive piece, made of repurposed metal, will definitely make you stop and take the time to really check it out. I couldn’t believe I walked right by it when I first came in! Beyond the bust is one of Oleson’s horse sculptures. With its stilt-like legs and flowing tail, this equine could be right out of a Tim Burton movie. Oleson also has some much larger scale sculptures that are interesting in their own right. 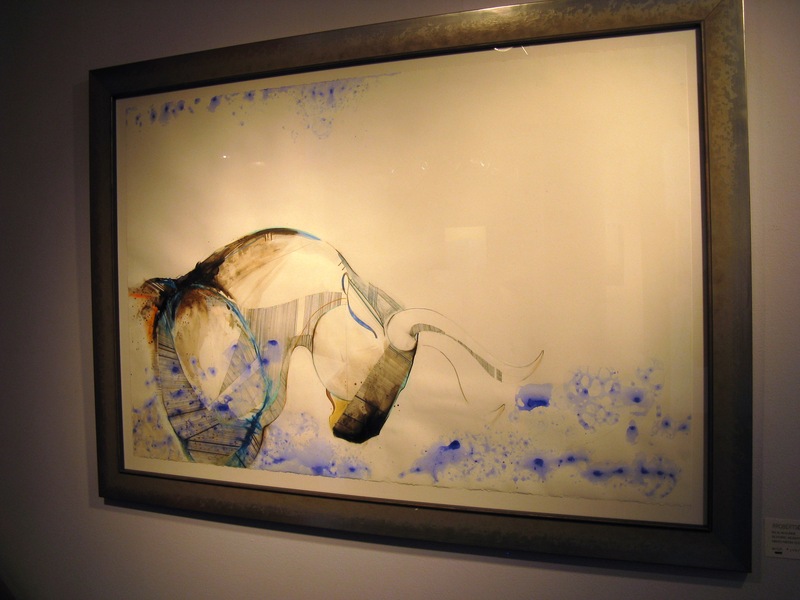 Speaking of equines, Madeline Peck-Wagner’s mixed media works were defnitely, for me, the star of this show. She takes subject matter that could be trite and cringe-worthy ( think cheesy Southwestern art ), but treats it in a unique, contemporary and elegant way. These are delicate line drawings possessing an intense presence and power, much like the impressive animals depicted. The cross-hatching & precision of the lines are reminiscent of architectural drafting, giving the figures depicted a strutctural, landscaped quality. Conversely, blots and washes of brightly colored paints call to the spiritual significance such animals, both living and decayed possess. 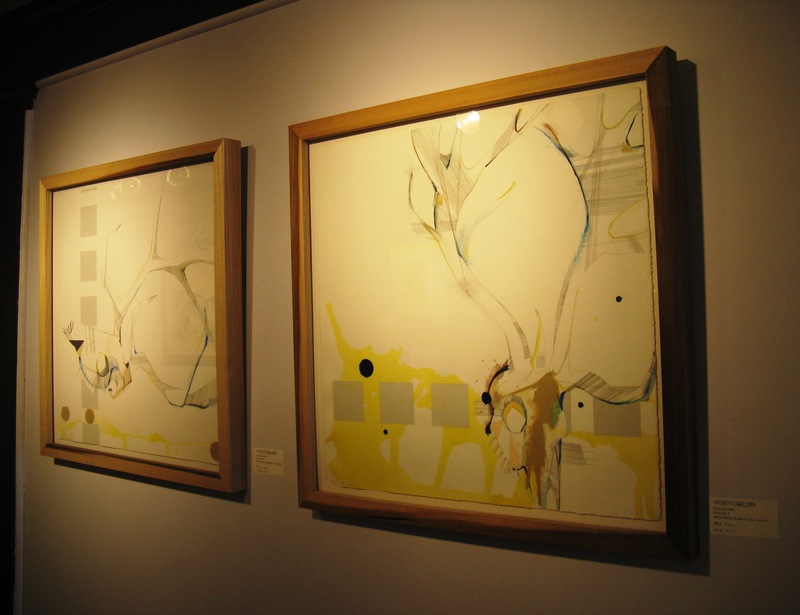 Just as the delicate, bare branches of winter transition into the full, heady blooms of spring, so we move from Madeline Peck-Wagner’s graceful lines into Kathleen Wobie’s encaustics, thick with wax, paint & color. Kathleen’s pieces, in the context of this show, seem to depict spring at its height– full of pastel tones and sunshiney warmth. 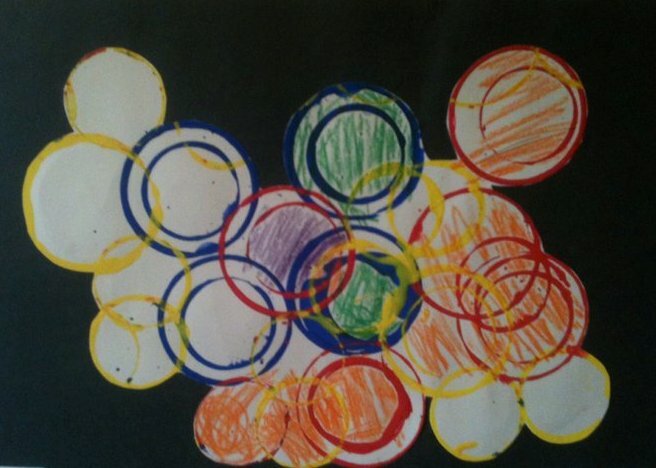 For me personally, I found the larger, abstract piece below to be Wobie’s most successful of this show. This piece, rather than being the literal translation of winter to spring that the piece above is, instead represents more the feeling of spring– of rebirth, renewal and the joy of being alive. As we in North Florida transition into spring ( though some days lately, it feels as if summer is already upon us! ), take the time to drop by R. Roberts to see how these artists make the switch and enjoy this last show in the gallery’s current space. R. Roberts is doing some transitioning of their own, can’t wait to see the bountiful blooming that is sure to be in store! 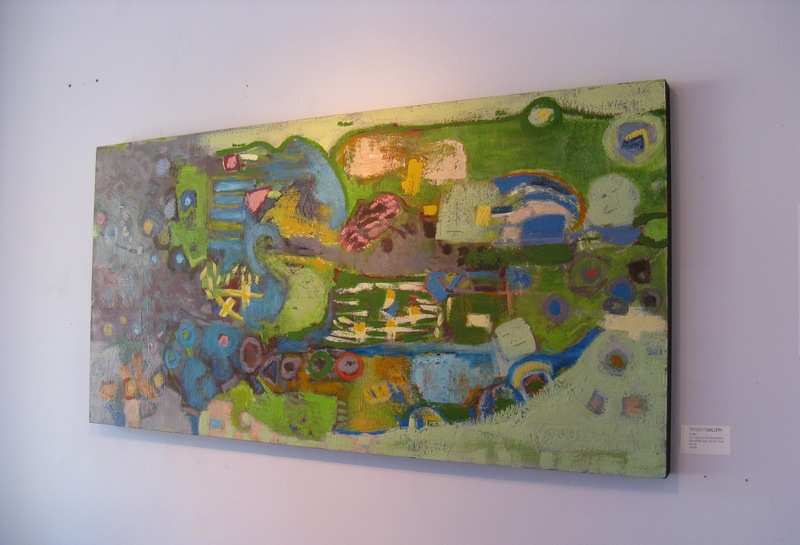 R. Roberts Gallery is located at 3606 St. Johns Ave in historic Avondale, in Jacksonville. 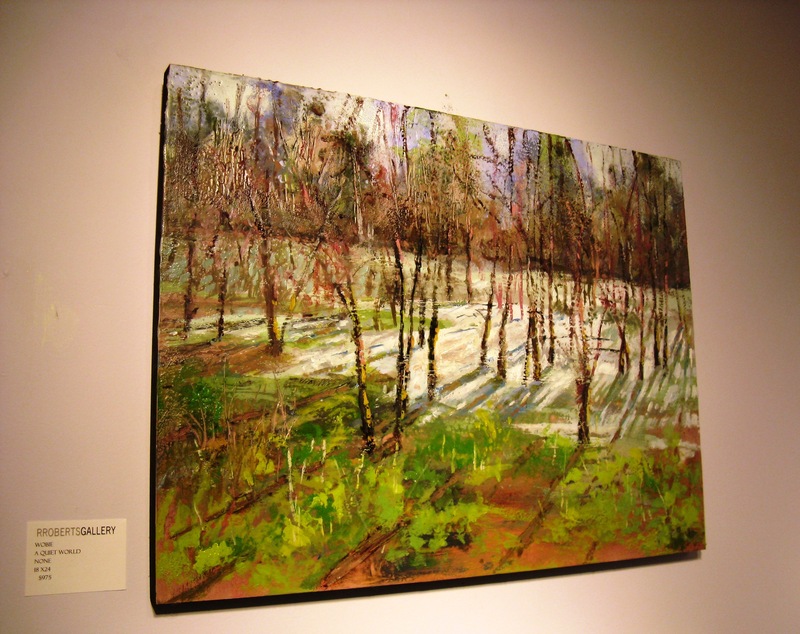 Winter Transitions; Spring Storms will be on display through April 23rd, the gallery is open Tuesday-Saturday 11am-6pm. I love modern & contemporary art. Artists who find a new way of translating our reality fascinate me. But the Art History geek in me also loves to look back at what was groundbreaking eons ago. We have so much to learn from those who came before us, so each Monday will be dedicated to a work by one of the “Masters”. First up, one of my favorite artists whose work I’ve seen in person when visiting the Frick Collection in New York. Officer and Laughing Girl by Johannes Vermeer, Dutch painter 1632-1675. Most of us are familiar with what may be Vermeer’s best known work, Girl With a Pearl Earring, but for me, he is at his best in his “slice of life” compositions such as Officer and Laughing Girl. 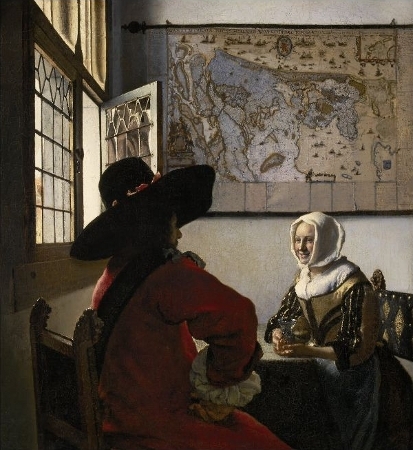 In this captured moment, Vermeer gives us a glimpse into a private, shared conversation. Is this a young girl being courted by a gallant officer? What is their relationship? Vermeer leaves us in wonder. Vermeer’s paintings are usually much cooler in tone than those of his contemporaries and this one is no exception. The light coming in through the leaded glass windows is clear, but feels frostly, especially in contrast to the warm tones of the officer and girl’s clothing and the looks being exchanged. 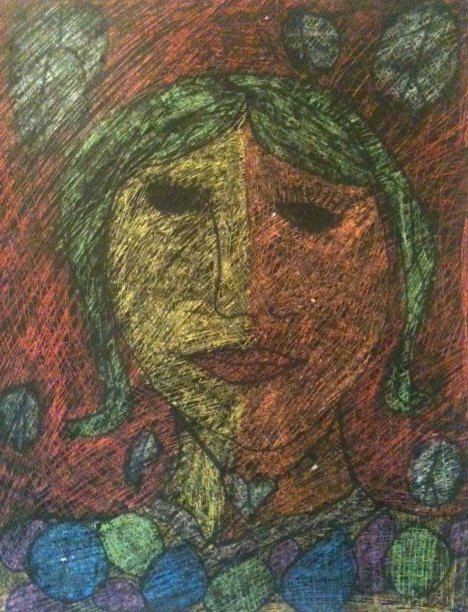 One of my passions is encouraging anyone who has even the slightest interest in the arts.. but especially young children. Their minds are still so open and fertile, they still believe they can be the next Picasso. Wouldn’t it be lovely if they were able to hang onto that belief? So Saturdays here at Artsy Forager are dedicated to kids. It is my hope that the excitement brought by seeing their artwork on the internet will continue to foster confidence in their abilities. Even if they don’t grow up to be professional artists, they will know that someone thought their efforts were valuable. We kick off our “Seedling Saturdays” with one of my brother Jason’s own, ahem, seedlings.. my niece, Samantha Hamilton, age 10. 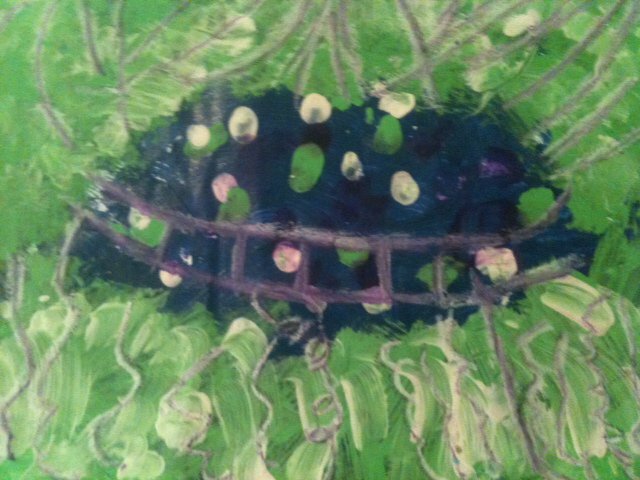 Samantha showed an affinity for art early on and has taken a few art classes, in addition to studying piano. 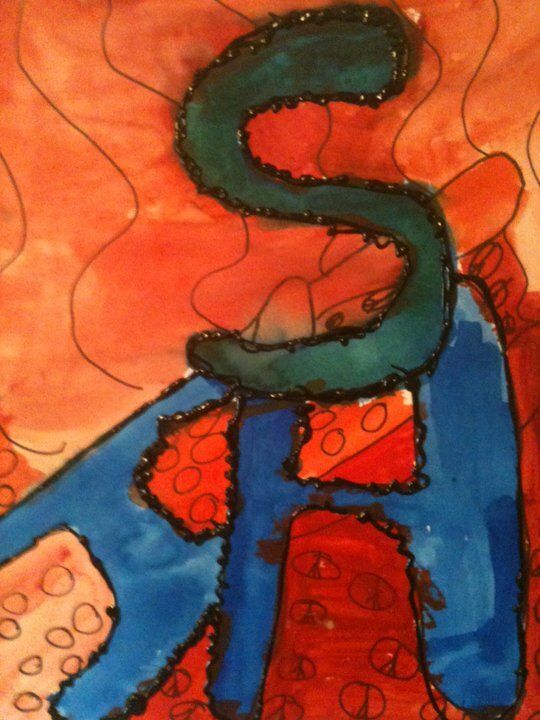 Her favorite artist is Georgia O’Keeffe ( a girl after my own heart! ). 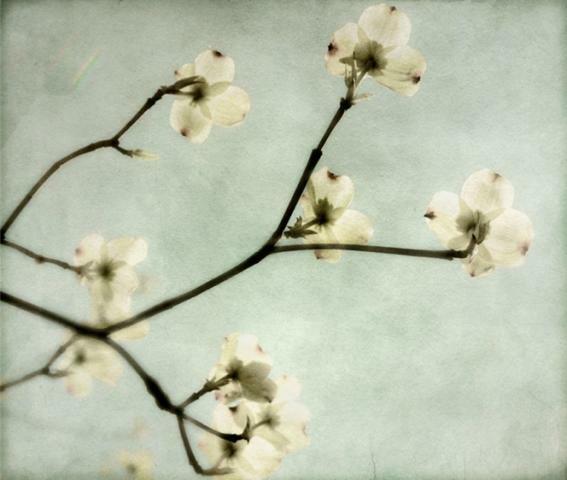 A few of my favorite things this week.. in honor of the beginning of spring, a little light, some flowers and birdsong.